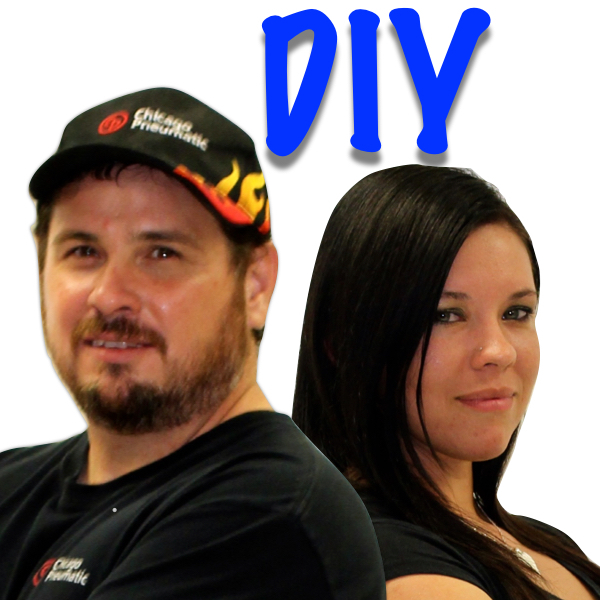 Jess joins an Auto DIY Youtube channel to incorporate basic car maintenance skills to enable others to save money by doing the repairs themselves. The DIY How to Auto Body Repair and Paint Training garage has become a household name for its internationally acclaimed efforts in spreading unique and highly sought after information on auto repairs. Donnie Smith has recently collaborated with another automobile enthusiast, auto industry expert and automotive specialist by the name of Jess. The new line of videos in the channel feature Jess working alongside Donnie Smith to provide viewers with the latest information in the world of auto repair, auto painting and automobile maintenance. Jess became interested in auto repairs by hanging out with her dad at his diesel shop. Growing up in his shop provided Jess with the basic skills to change her own oil, fuses, and other basic car maintenance. She currently works in the automotive industry and plans to work with Donnie to incorporate some of these basics into the videos. This will provide other women and men with the knowledge to save money by who performing their own basic car maintenance. The DIY How to Auto Body Repair and Paint Training garage has become a household name for its internationally acclaimed efforts in spreading unique and highly sought after information on auto repairs. Owned by Donnie Smith, this garage is today known as the home of one the most popular YouTube channels called the DIY How to Paint A Car School. The channel currently has over 45,000 subscribers and boasts over 12 million channel views. Since its inception, the channel has been the ideal source of free tutorials on auto body repair and auto painting. These videos, hosted by Donnie Smith himself, has inspired thousands of DIYers, students and professional technicians to save an incredible amount of money by learning the art of repairing their cars themselves. The popularity of the channel can be explained by recent statistics which show a rising trend in people resorting to DIY auto repairs for the purpose of saving more money. Studies suggest that the primary reason for which people choose to do their own auto-repairs is cutting down on the costs that are involved with subscribing to the services of a professional mechanic or a garage. Approximately 60% of DIYers are reported to have saved in excess of $500 annually by undertaking their own repairs. The vast majority of the DIYers, (96%) are reported to save a minimum of $100 a year. Among the repair jobs, replacing a battery, wiper blades, headlamp bulbs, air filters and placing an anti-freeze are the top most common jobs performed by DIYers. Donnie Smith’s YouTube videos cover all these tasks and a rich selection of other more advanced repair chores. In the light of such revealing statistics, it comes as no surprise that people have been frequently visiting Donnie Smith’s YouTube channel to enhance their knowledge on auto repairs, sharpen their skills with the toolbox and find out new methods of conducting repairs themselves without professional assistance. Viewers are highly impressed and satisfied with the information they are presented with in Donnie Smith’s videos. Not only has Donnie Smith been able to reach out to a greater audience with his tutorials, but he has also established himself as one of the most recognizable auto repair and paint experts of modern times. The video tutorials in Donnie Smith’s YouTube channel address a diverse selection of topics pertaining to auto repair and maintenance including DIY plastic bumper repair, spray gun adjustments for auto painting, dent repair techniques, rust repair and a variety of other techniques, tips, tricks and advices. To learn more about DIY How-to Auto Body Repair and Paint, Donnie Smith, Jess or to dig deeper into the field of cost effective and economical auto body repair and painting techniques that can save considerable sums of money, visit the YouTube channel at http://YouTube.com/ButlerCollision. For more information, please visit http://www.collisionblast.com/. Donnie and JessLearn how to maintain, repair and paint your car.